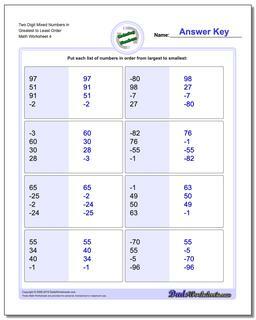 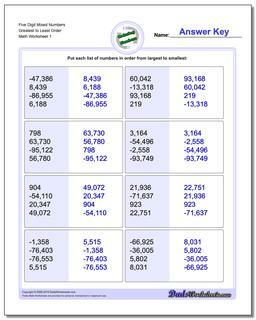 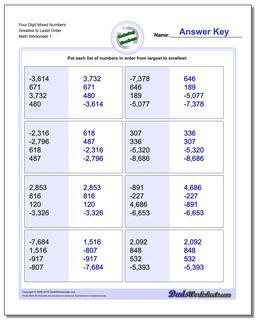 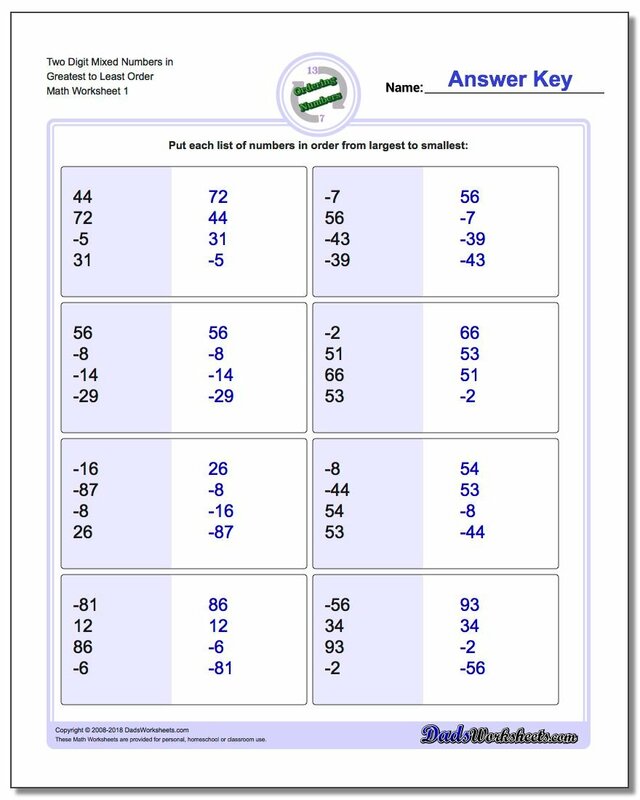 Worksheets for ordering sets of both positive and negative whole numbers with same place values. 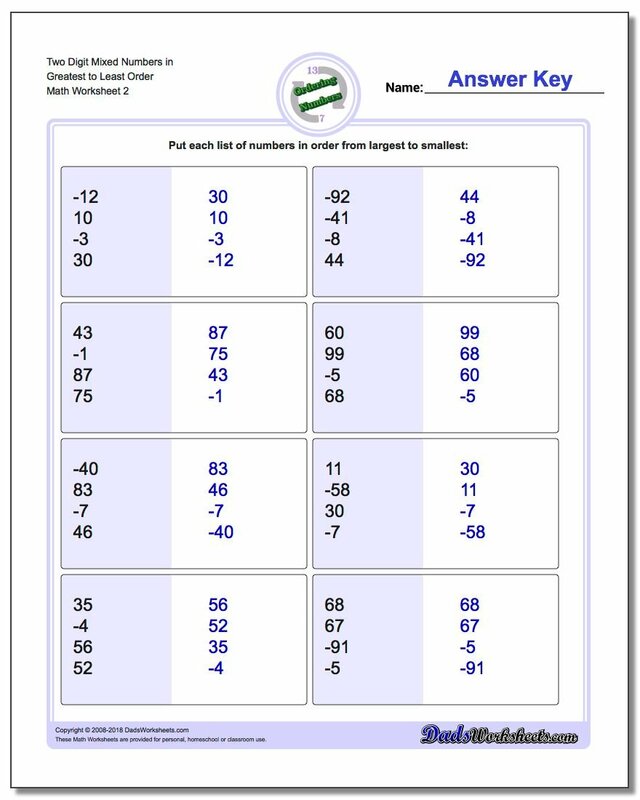 The ordering numbers worksheets in this section bring together both postive and negative numbers in sets that have to be put in the correct order. 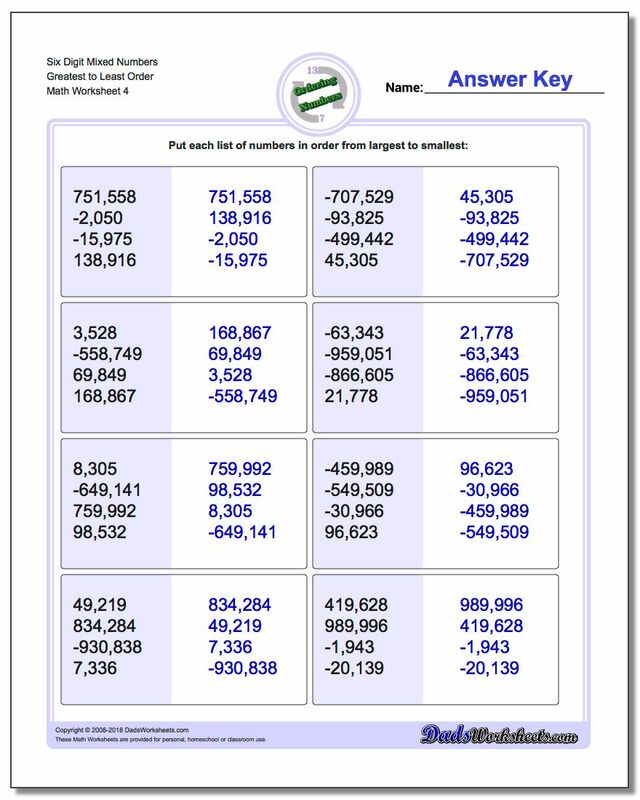 This is an activity full of peril, as it will quickly dispel the idea that you can look at the length of a number to figure out how big it is. Longer negative numbers are actually smaller that shorter negative numbers, and combining these values in the same set with positive integers will help develop students understanding of magnitude as numbers cross zero on the number line. 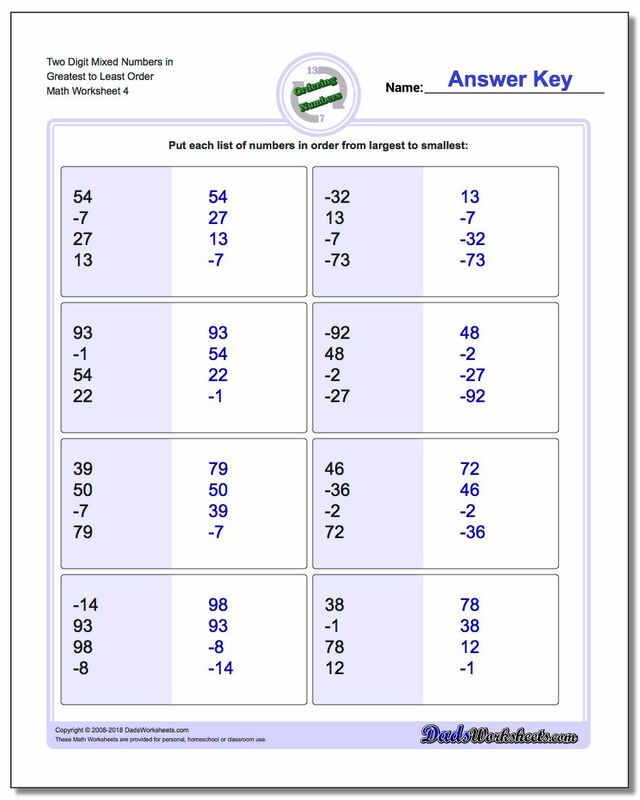 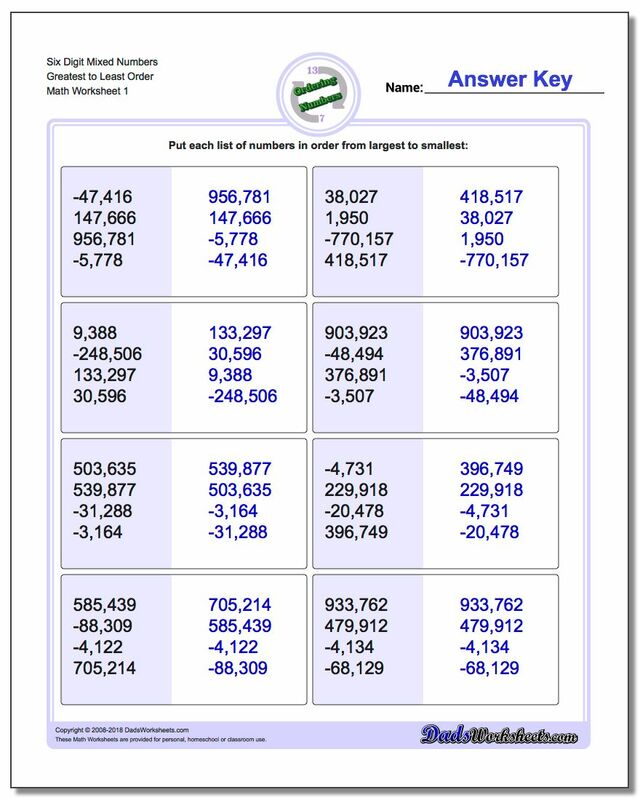 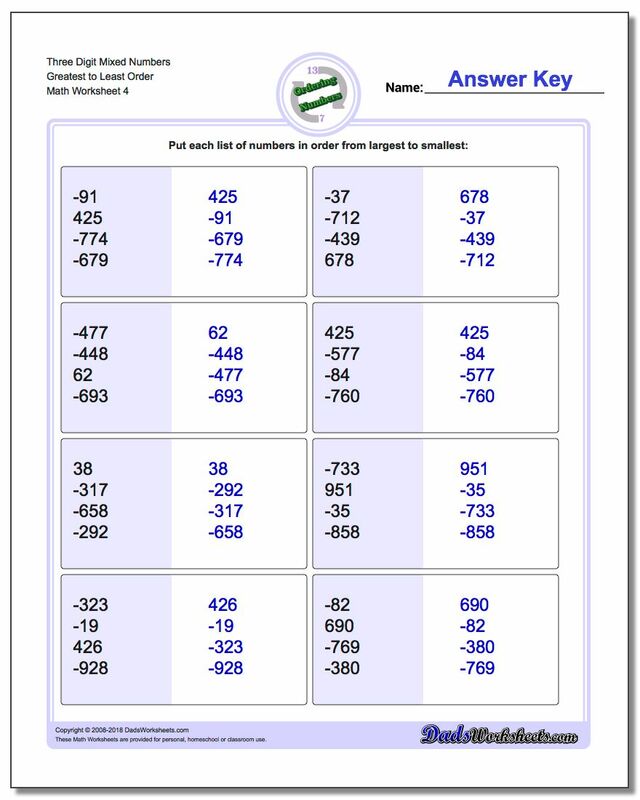 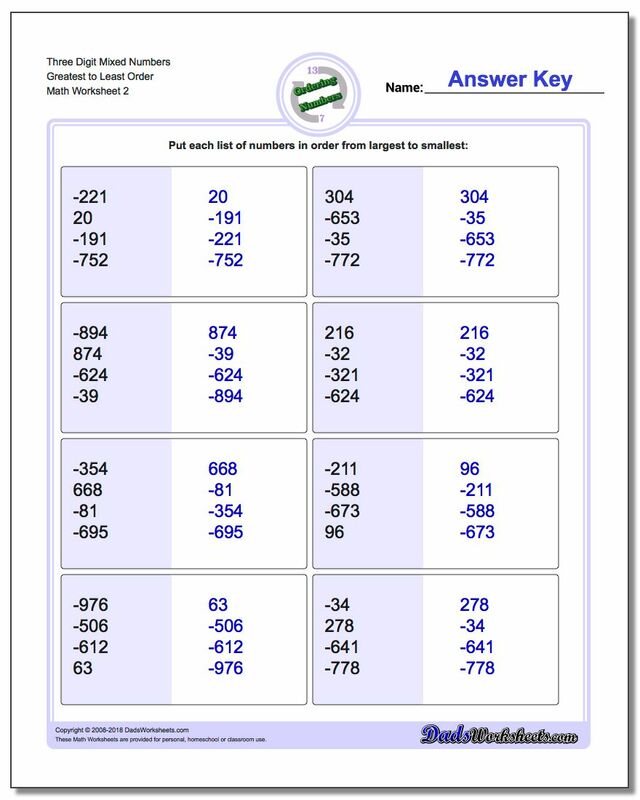 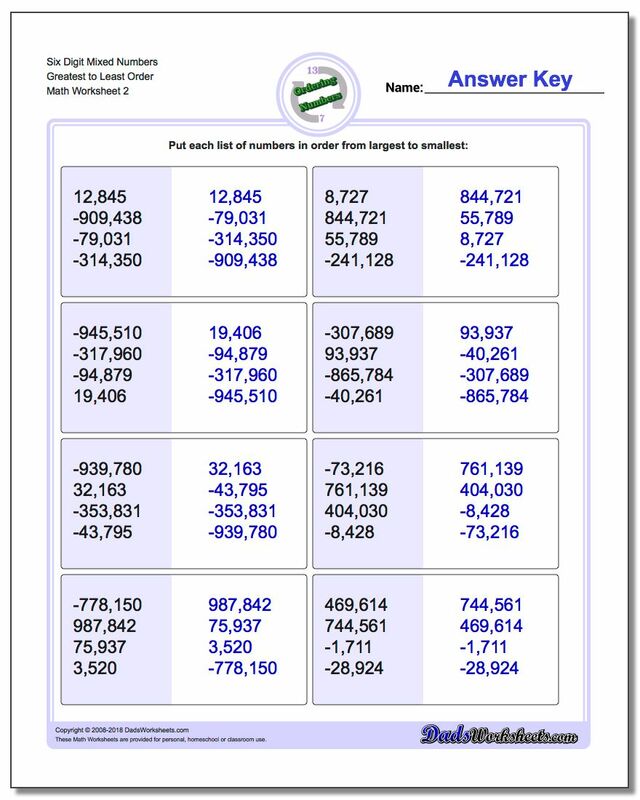 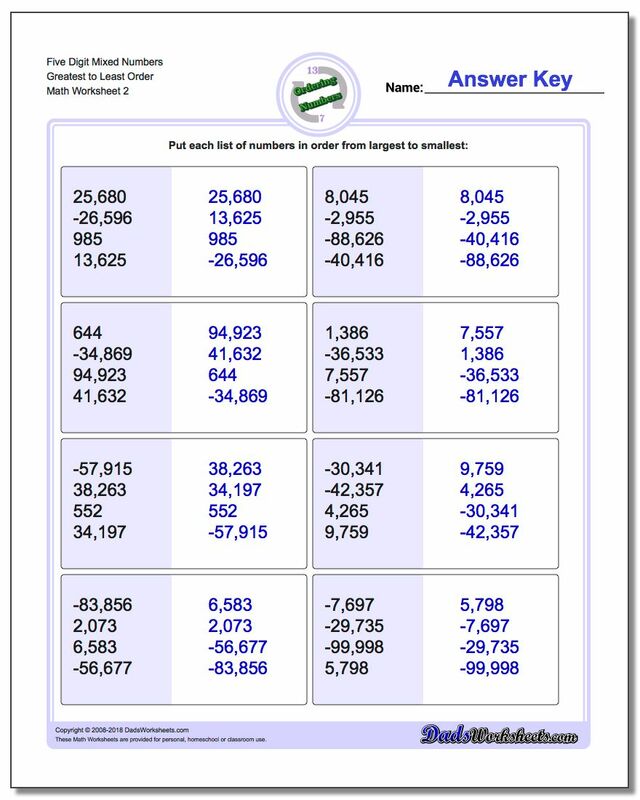 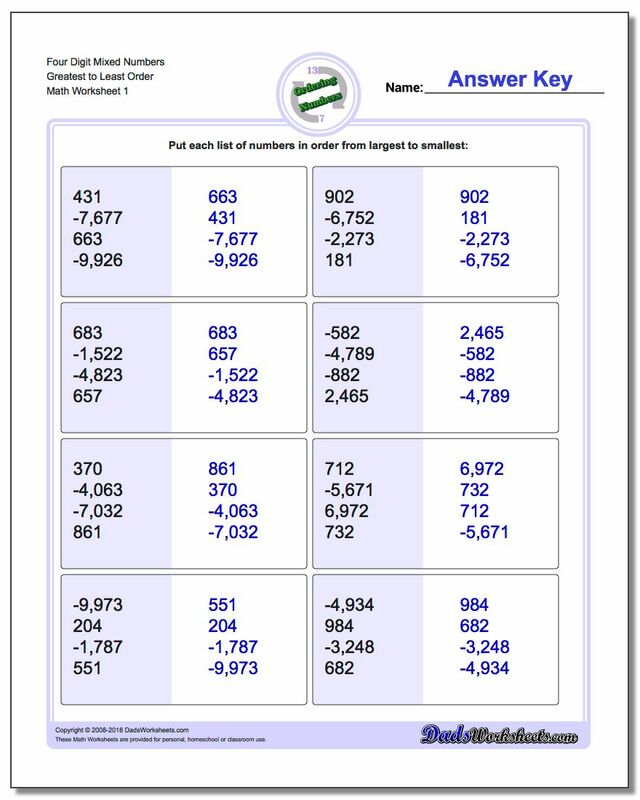 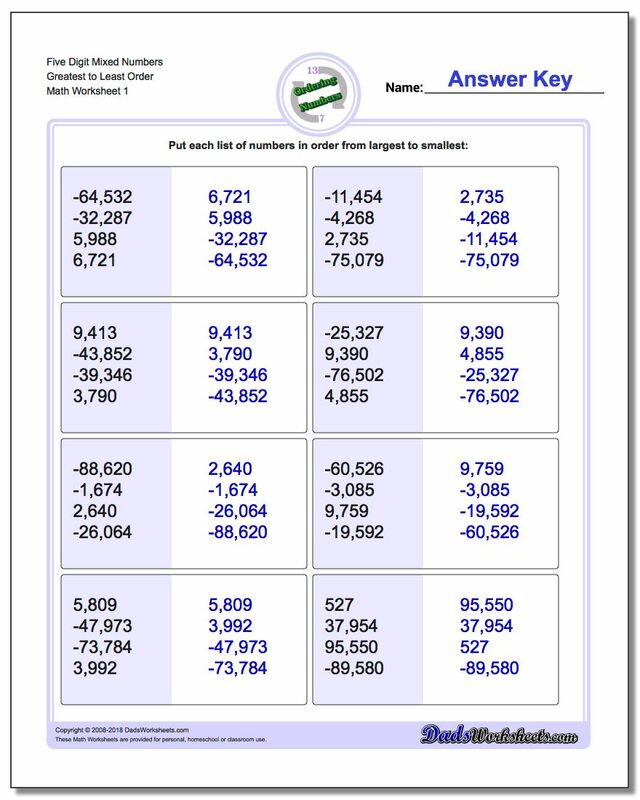 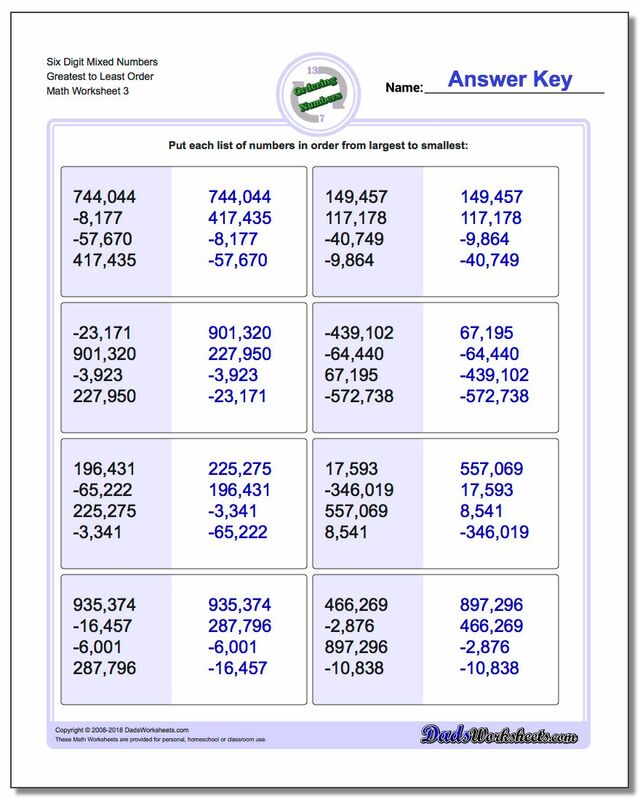 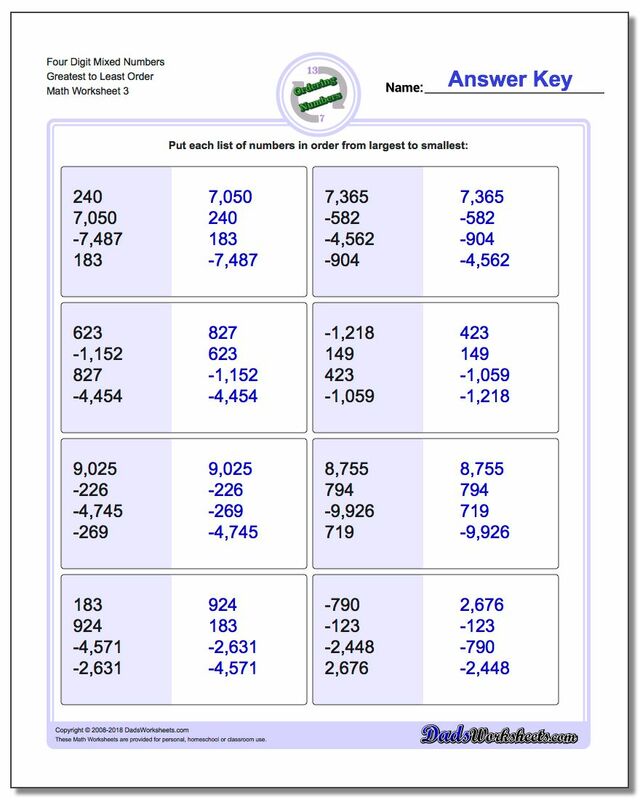 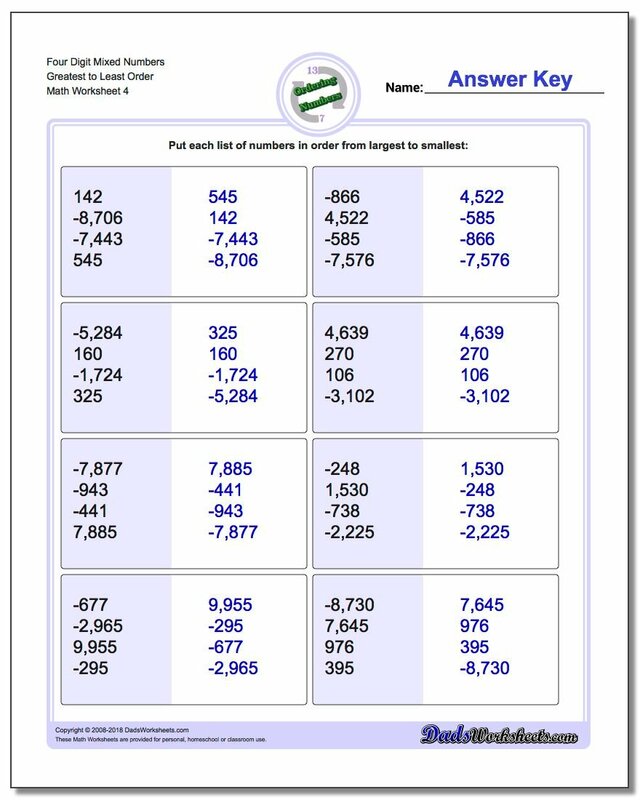 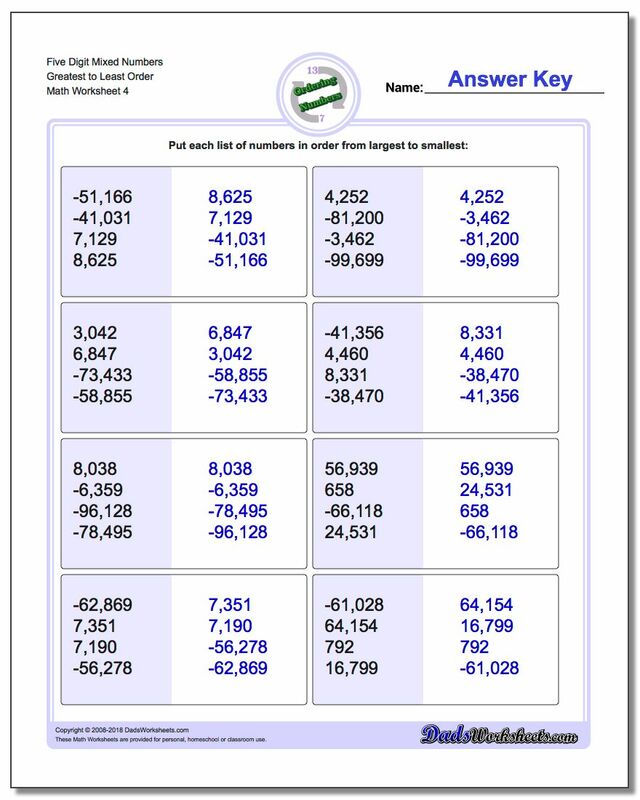 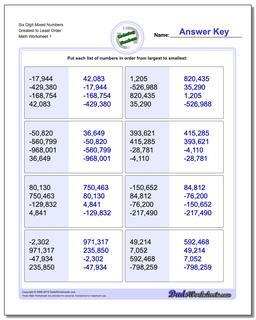 The worksheets in this section begin with numbers that are two digits or less, and then progress up to larger values up to six digits in length.